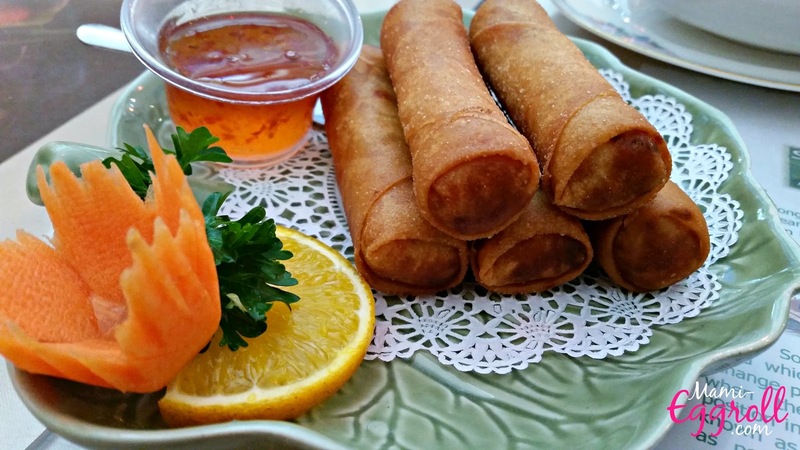 Mami-Eggroll: Best Thai food in the area! 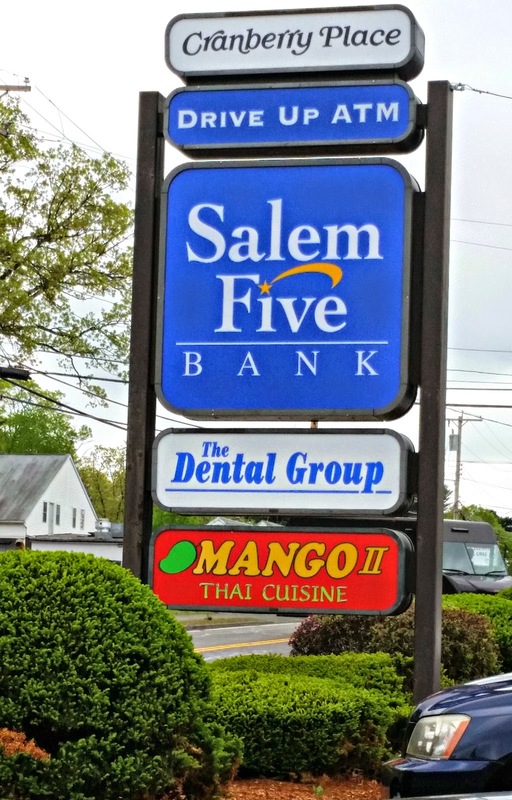 Ever since I met Jill, she's always talked about the best Thai rolls and phad see you at Mango II's Thai cuisine in Tewksbury. The Mo and I were introduced to the restaurant ages ago from our friends Greg and Soklim, who also grew up in Tewksbury. We used to go there on a regular basis and stuff our belly with family style dishes. We'd exchange conversations over mai tais and delicious entrees consisting of noodles, curries, fried rice, mussels and other mango specialties dishing holding back on the garlic for our friend. We would be so full that we'd dread the 15 min drive back home to Lowell. 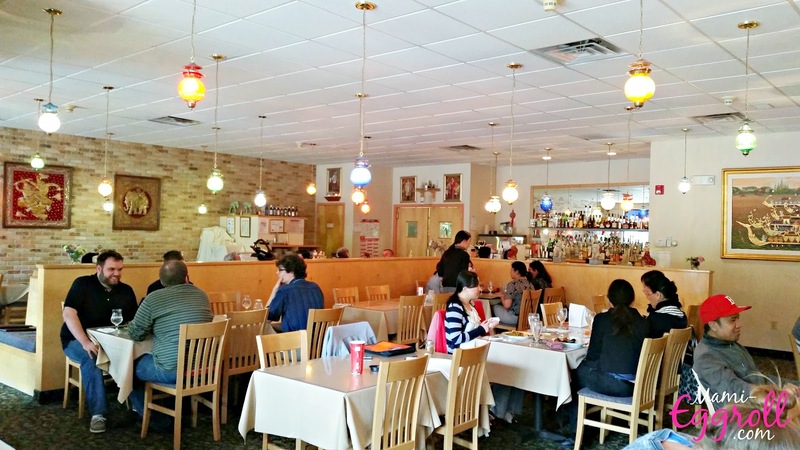 Sure, Lowell has many great Cambodian and Vietnamese eateries, but since Southeast Asian closed it's doors, the offerings of good Thai food is scarce in Lowell. Since we were getting out of work at noon today for the holiday, Jill and I headed towards Main street for a Thai lunch where the Mo met up with us. The restaurant is in a little plaza off the busy road. There is ample parking in front of the restaurant as well as in the rear. When we arrived the restaurant was packed. Both Jill and I agreed that we've never seen it that busy before. The restaurant displayed cute pendant lights throughout the dining room and featured a full stock bar area in the back. Since our friend was feeling a little under the weather, she ordered a sprite. 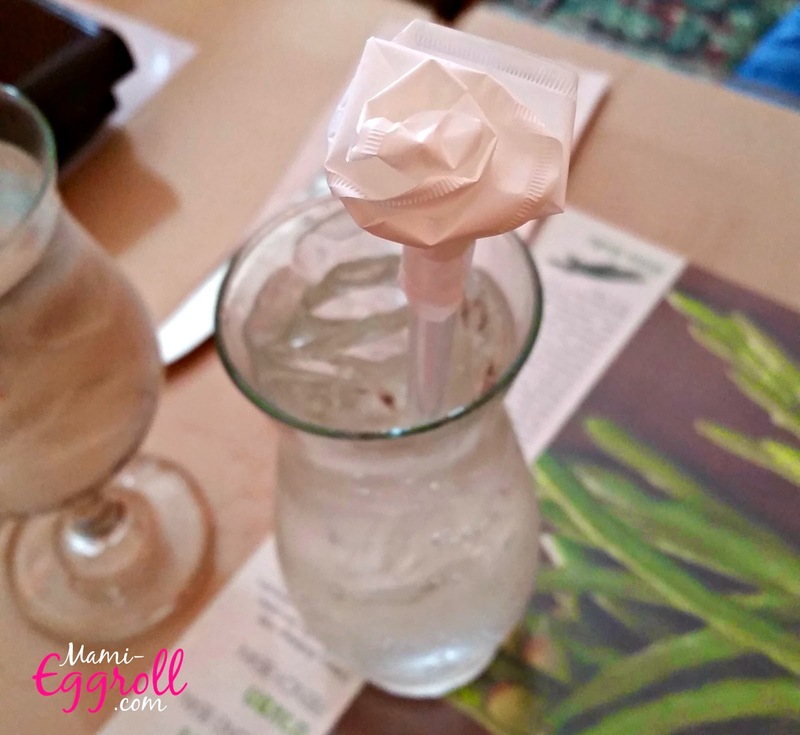 The drink came with a cool straw with the wrapper shaped to look like a rose. 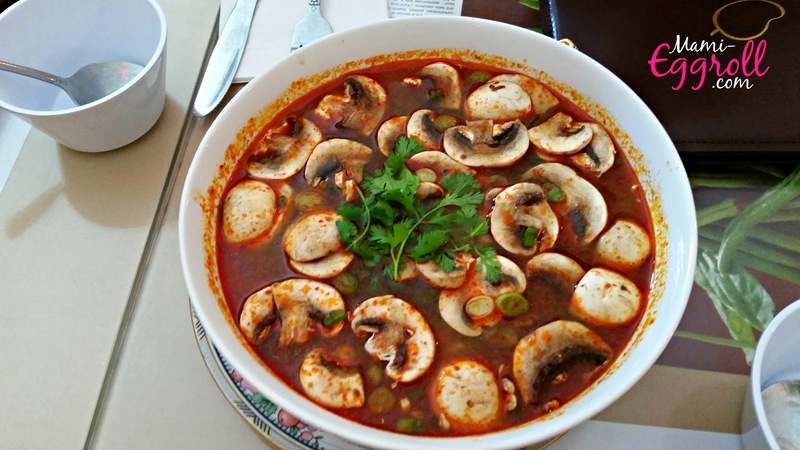 We started off with a large bowl of chicken tom yum soup. I have to admit, I usually don't like the spicy sour soup but it was the best I've ever had! It was on the sweeter side and had lots of chunks of white meat chicken. I ordered a small bowl of white jasmine rice so I could scoop small spoons into the soup. I pretty much ate the large soup all by myself. 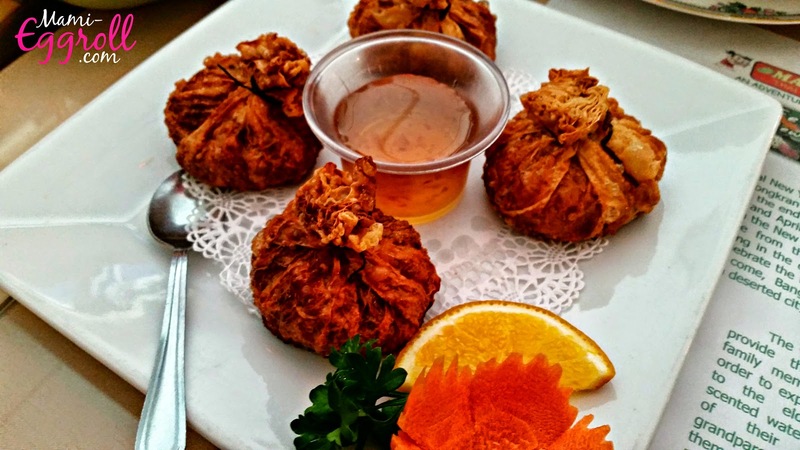 For appetizers, we shared the famous Thai rolls and Golden Bags, deep fried tofu skilled wrapped ground shrimp, chicken, veggies served with a sweet orange sauce. I'm a little biased because I really think my mom makes the best egg rolls but these ones were also good. Jill did mention that they tasted different than before. The golden bags were crispy and delicious. 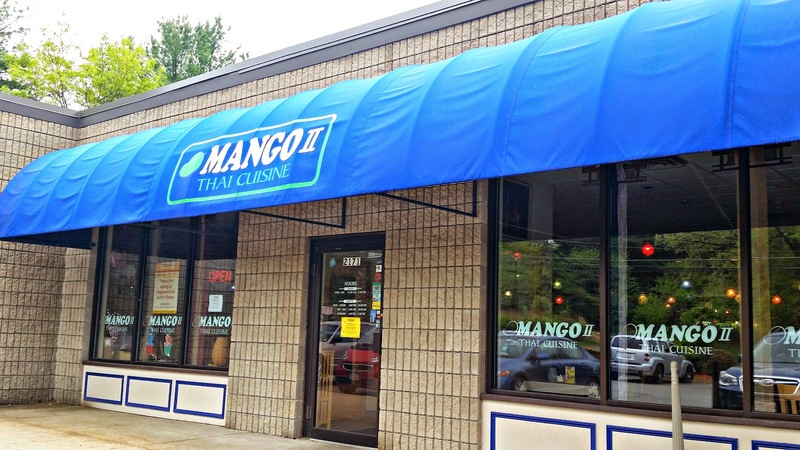 Other Thai restaurants usually serve it with the typical sweet chili dipping sauce but I thought it was cool that Mango II's had an orange vinaigrette that paired well with the fried minced shrimp and chicken purses. For entrees, we all did our own thing. 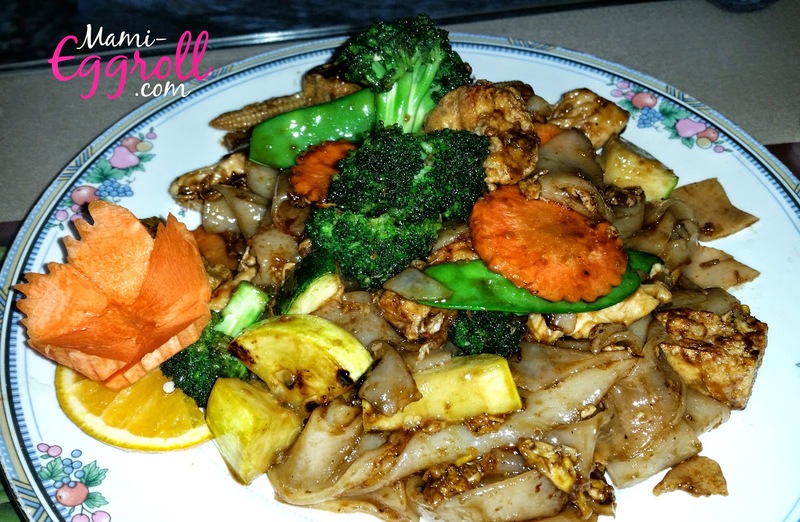 Jill stuck with her chicken phad see you. I stole a bite and it was very good. Lots of flavors and lots of noodles. The portions were large for "lunch" entrees. The Mo got beef basil with fresh minced hot peppers, Thai red basil, mushrooms, onion, and bell peppers. He upped the hot pepper level from 2 stars to 4 stars. 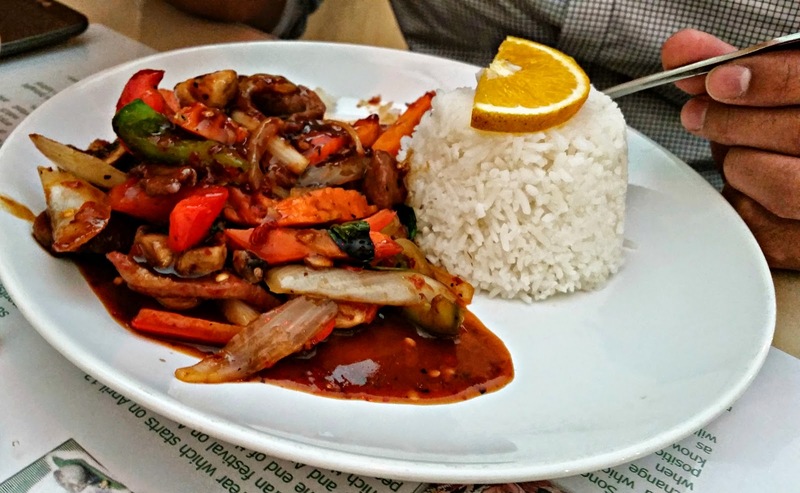 The Outlaw tofu sizzling platter with vegetables in the mango spicy sauce description on the menu was appealing. I asked if I could add pork and the owner/waiter said yes! 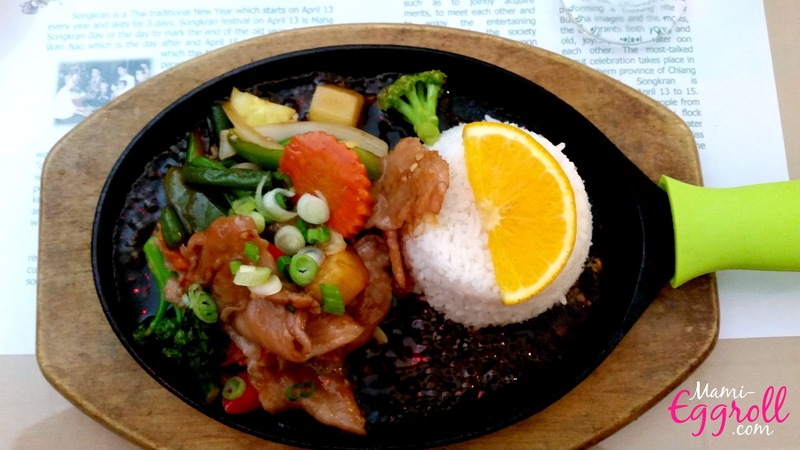 The dish came out on a sizzling platter, reminiscent of Chinatown. It looked amazing but I was too stuffed from the apps and soup. I took a picture and had it wrapped up to go. 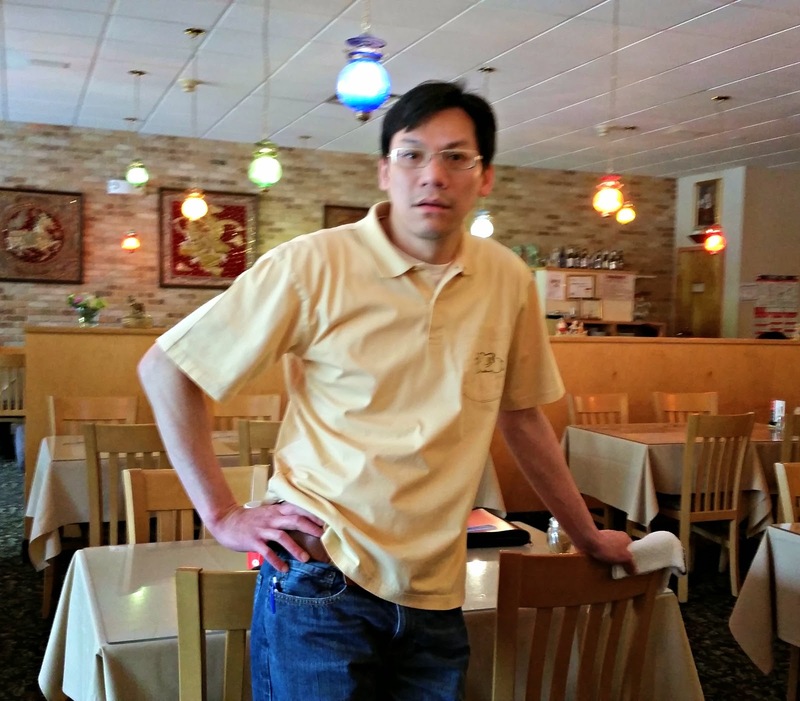 The service was very nice and the owner/server was very friendly. He recognized us from previous visits but was on a first name basis with Jill. I thought that was so cute! We will definitely be back with friends for family style dinners sometime in the near future.